"Stuck in the Valentine's doghouse?" 1-800 Flowers asks. Three days after Valentine's Day, 1-800-Flowers is still apologizing to customers whose flowers and candy never showed up. 1-800-Flowers (FLWS) sent nearly 1,000 individual apologies on Twitter, plus more on Facebook, but many customers still weren't satisfied. It wasn't the only flower delivery service with upset customers, though the number of 1-800-Flowers complaints appeared to outpace those for FTD (FTD) Flowers and ProFlowers. Their frustrated and upset online posts told stories of wilted and broken flower arrangements, or those that never arrived at all. "It's been a very frustrating experience," said Vy Nguyen of South Carolina. She helped her dad order flowers to be delivered to her mom's workplace, but they didn't show up. "We tried to do something nice for my Mom and she ended up with no flowers on Valentine's Day and she was very upset as she should be." She was given a different phone number to call and eventually a customer representative revealed her order had been canceled and a refund was on the way. For the trouble, Nguyen said the representative offered a free "apology arrangement" -- then withdrew that offer. Now, Nguyen is waiting for her original order to be refunded as plus a voucher for $20 off a future order. She said she doesn't plan to use the voucher because she's taking her business elsewhere. Other customers told CNNMoney that 1-800-Flowers also promised them a refund and a discount voucher. The company's spokesman did not return a call requesting comment on Sunday. But it posted a message to customers on Facebook: "Our customer service center is open 24x7 and our caring team is working hard to resolve every concern, and won't stop until we do. 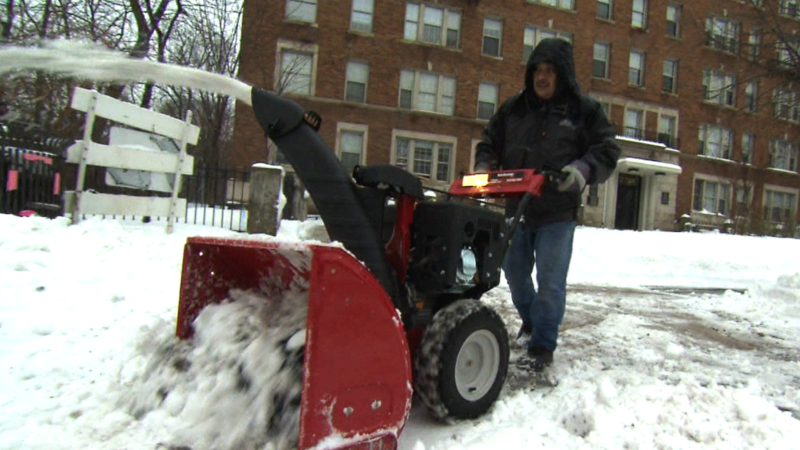 ... Due to the weather issues we experienced, wait times are longer than we would like." 1-800-Flowers is headquartered on Long Island, N.Y., and many impacted customers appeared to live along the East coast, which was hit hard by a snow and ice storm for Valentine's Day. Social media postings suggest the company still hasn't answered every customer call. After the flowers Mike Wilson ordered for his significant other never arrived in Toronto, he spent at least three hours on Friday and Saturday waiting on the phone for a 1-800-Flowers representative. His only reply from the company was an automated email acknowledging the complaint he filed on its website. "The person that I was shipping these to is a very understanding person. I'm probably more disappointed than she is," he said. But the delivery issue was only half of it. "I think I'm actually more discouraged by the poor handling after the fact." His delivery still hasn't arrived, but late Sunday -- after his story was covered by CNNMoney -- 1-800-Flowers reached out to him. The company initially offered him a $20 voucher and to reschedule his delivery, but Wilson wasn't satisfied until they agreed to reschedule the delivery and fully refund his order. Sara Naeseth's order didn't make it to a truck either. The chocolates she ordered three weeks ago for her boyfriend, Daniel, were listed for days as sitting in an Illinois distribution center. Of the customers who spoke to CNNMoney, Naeseth may be most fortunate: besides the refund and voucher, 1-800-Flowers is shipping the chocolate tower she originally ordered. Her order is now scheduled to arrive Friday -- just one week late -- but 1-800-Flowers has already moved on. 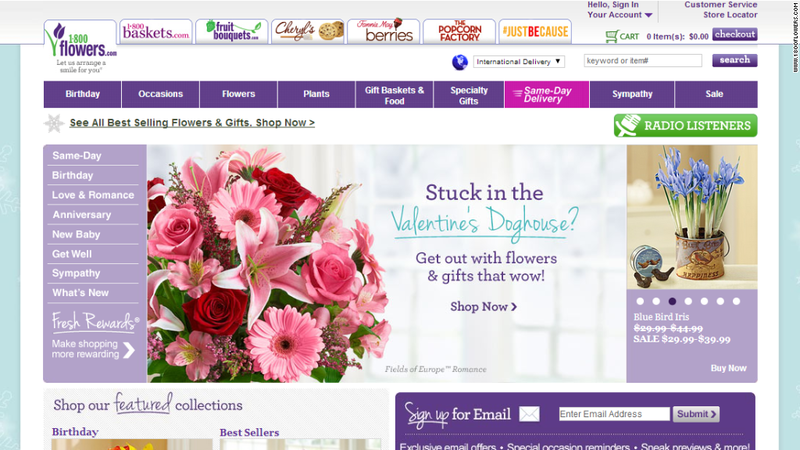 The latest offer plastered on its website is a sales pitch: "Stuck in the Valentine's doghouse? Get out with flowers and gifts that wow!"